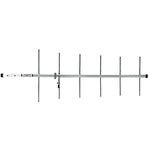 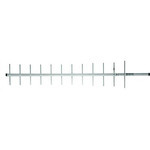 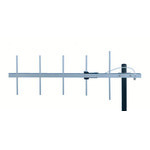 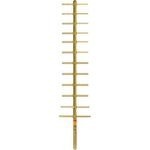 ANT450Y7-WR 450-470 MHz 7 dBd 4-Element Yagi Antenna, N-Female - Talley Inc. 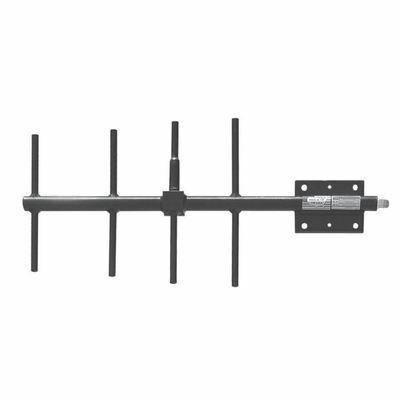 The Telewave ANT450Y7-WR is a high performance directional antenna, designed especially for point to point as well as point to multipoint applications. 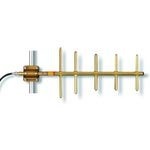 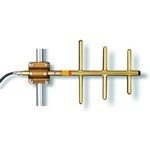 This antenna produces 7 dBd forward gain with an excellent front-to-back ratio. 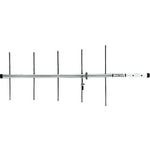 Solid aluminum elements with 360° welds provide exceptional strength and prevent intermodulation. 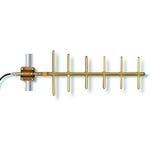 Each antenna is completely protected with our high-tech Txylan™ coating, which provides icing resistance and environmental protection from corrosive gases, ultraviolet radiation, salt spray, acid rain and wind blown abrasives such as desert sand. 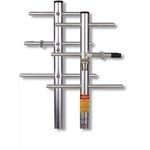 The feed line is protected within the boom, and the radiating element is completely sealed against ice and other environmental hazards with a tough, RF-transparent radome. 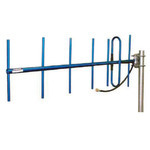 The ANT450Y7-WR includes a welded vertical plate and mast clamp set. 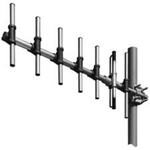 A horizontal plate is optional. 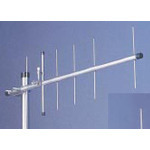 The clamp set secures the antenna to a vertical mast or tower support from 1.5" - 3.5" O.D. 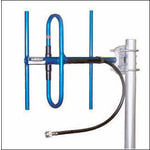 For installations on angled supports, the "U" mount provides 3 separate planes of rotation to allow almost any required orientation of the antenna. 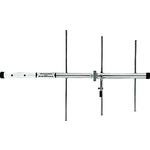 The "U" mount attaches to virtually all supports up to 3.5" in diameter, and can be adapted to flat surfaces and utility poles.